Not everyone has the time and resources to enroll at an art class. There are a lot of artists all over the world who did not have formal training. 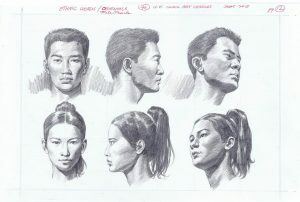 You can also find a lot of resources online like art exercises and tutorials. If you’re hesitant or feel you’re not doing enough to improve, here are things you need to keep in mind. Invest in cheap but quality materials. You don’t need to spend a fortune to get the best results. Even if you can afford the most expensive art materials, it all comes down to effort and practice. 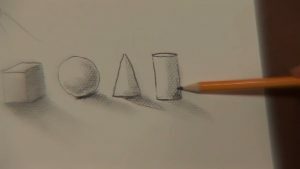 The basic art materials you need for drawing are graphite pencils, drawing paper or pad, eraser and sharpener, color pencils, and oil pastels. If you plan to start painting, you will need quality water color paper, water color, flat and round paint brushes, and a palette. Start with the basics. Don’t get ahead of yourself. 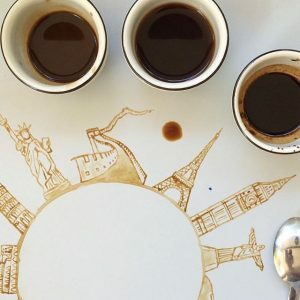 If you haven’t practiced before, it’s better to start with the simplest you can do. Draw subjects that you’re interested in. If it’s too complicated, you can save it for later when you’re more confident with your skills. Find a subject you’re interested in and don’t force yourself to draw something you don’t really want to try. Don’t be afraid to fail. Never be afraid to make mistakes. You can’t be good the first time. If you haven’t achieved your goal, keep trying until you’re better at it. Remember why you wanted to start drawing and painting in the first place. If you can’t have fun in what you’re doing then you have already failed. Don’t get intimidated. Not everyone is born to become famous artists. It is both a talent and a skill. There will always be people who are better than you, just like there are people who excel in other activities like sports, academics and performing arts. That should not stop you from doing what you love. You’re not out there to compete unless of course you join a competition. Love what you do. If you feel like you’re not making any progress, remind yourself why you’re doing it in the first place. You’re practicing to become better for yourself, not for other people. If you love what you’re doing, then the act alone should make you happy. Draw because it makes you feel relaxed. Paint because it makes you happy. Practice is the key. Leonardo da Vinci didn’t get to be the where he is because he already knew how to do it when he was a baby. He studied and researched. He started as a student just like yourself. Famous artists were not born masters, they were all newbies like you once. The only way to improve is to keep doing it. Next Post: Does Your Wedding Need a Sound System?